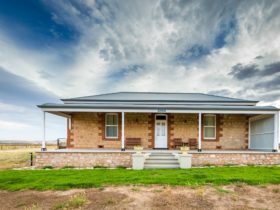 Seppeltsfield Vineyard Cottage is exclusively for one discerning couple and set in a private vineyard in historic Seppeltsfield in the Barossa Valley. 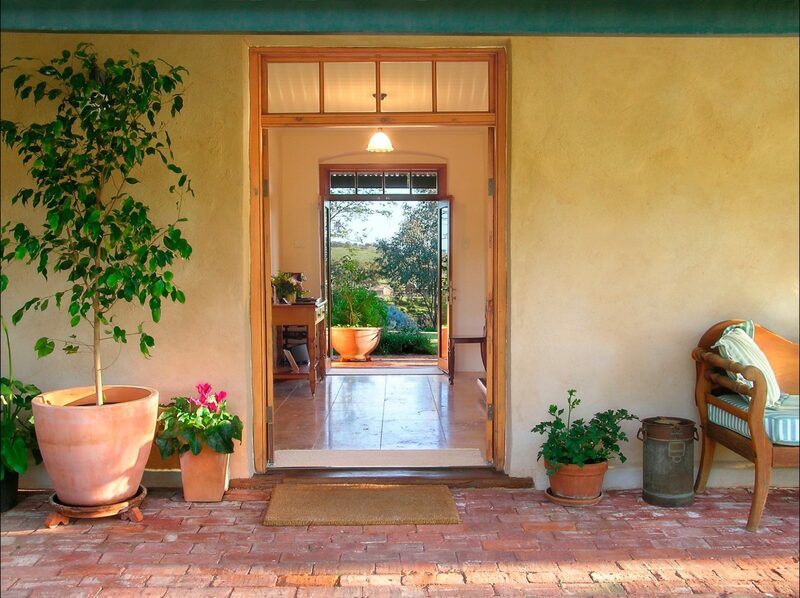 An easy one hour drive from Adelaide, Seppeltsfield Vineyard Cottage offers not only heritage, self-contained, luxury boutique accommodation, but an all inclusive “flavours of the Barossa” experience from the moment you arrive. 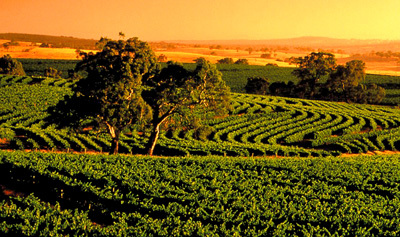 Awarded the Barossa Trust Mark in 2017, this multiple Australian tourism award winning destination offers the perfect opportunity to discover the food, culture, history and hospitality of the Barossa Valley. Highly recommended on TripAdvisor, the cottage is the perfect place for one couple to celebrate a special occasion. Excellent dining options include Appellation restaurant only a five minute drive away, or walk to lunch at Hentley Farm next door and Fino restaurant at Seppeltsfield. Attention to detail, quality furnishings and modern luxuries, together with many original features of the cottage, offer guests an incomparable setting in which to immerse themselves in their Barossa experience. 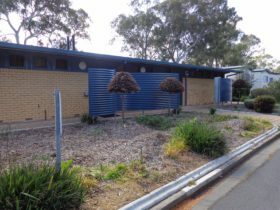 Visit our website for more information about facilities and services. 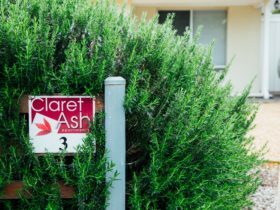 Your hosts, local Barossa wine producers Sharyn and Peter, who live nearby on the property, are passionate about all things Barossa and welcome the opportunity to assist with touring and winery advice. Guests have sole occupancy of the cottage which features a spacious lounge, bedroom, bathroom and cellar. There is approximately 70 square metres of interior space. The cottage is fully air-conditioned. All furnishings throughout are of superior quality. The large quiet bedroom has a king size bed, quality fresh white linen, woollen carpets and antique furnishings. The large en suite bathroom offers iPod dock, under floor heating, double shower, deep rainwater bath and French doors to vineyard views. Molton Brown personal products are provided. The lounge features an open fire in winter, Bose entertainment system, DVDs, CDs, magazines and books. Indoor and outdoor kitchenettes provide for the preparation of simple meals and includes microwave, bar fridge, Global & Wusthof knives, saucepans, cutlery, crockery and condiments. There is a strong emphasis on regional food and wine. Cooked and continental breakfast provisions include eggs from our hens, locale produced smoked bacon and meats, Barossa Cheese Company haloumi and camembert, wood fired oven bread, local dairy milk, fruits, yoghurts and a bottle of wine. Gourmet barbecues or platters can be provided. 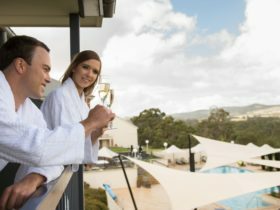 Stays include a free heritage tour of Seppeltsfield Winery and restaurant transfers on one night. 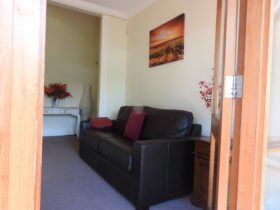 Long stay rates available as per website booking and availability calendar.